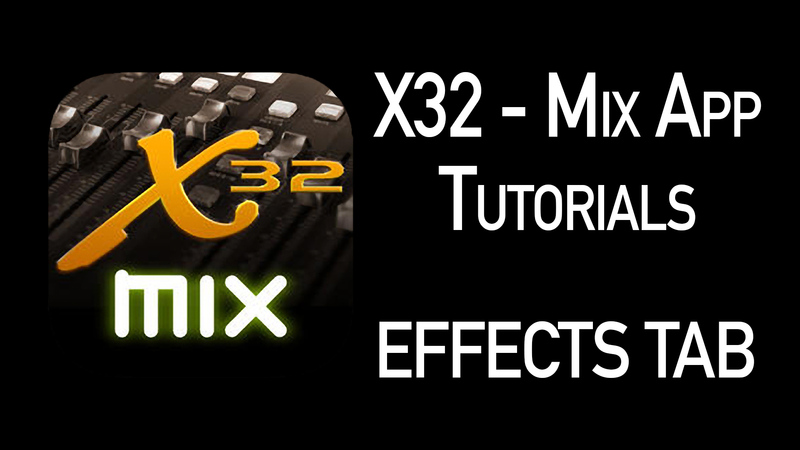 Last week I started my X32-Mix App Tutorial series with the Detail Tab, if you haven’t seen the blog post, check it out here: X32-Mix App Tutorial Detail Tab. 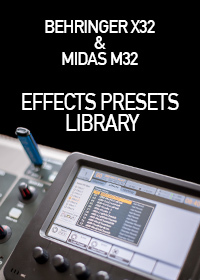 This week we look into the ‘Effects Tab’ of the X32-Mix. Effects racks 1-4 are the time-based effects on the X32, typically these are on mixbusses 13-16. 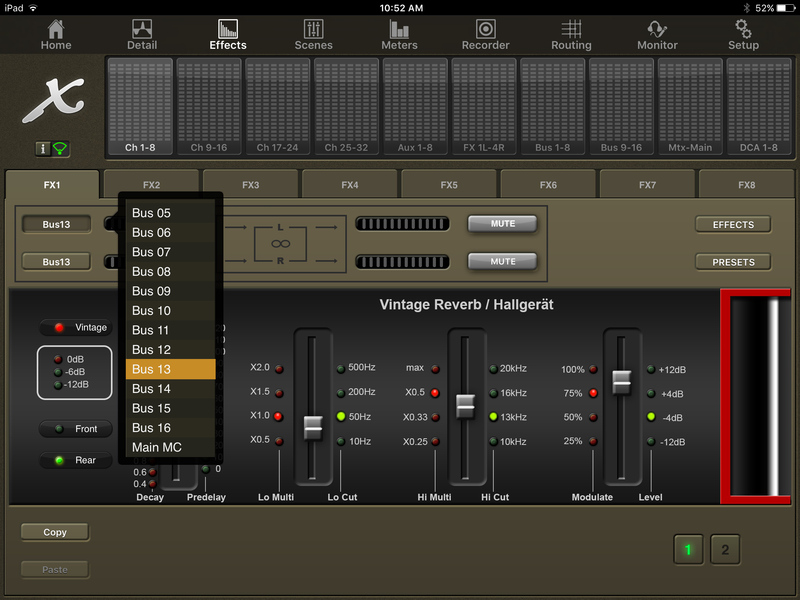 We can, however, select from Insert, Mixbus 1-16 and Main M/C. Simply press the button where it says Bus 13 and a drop down will appear. 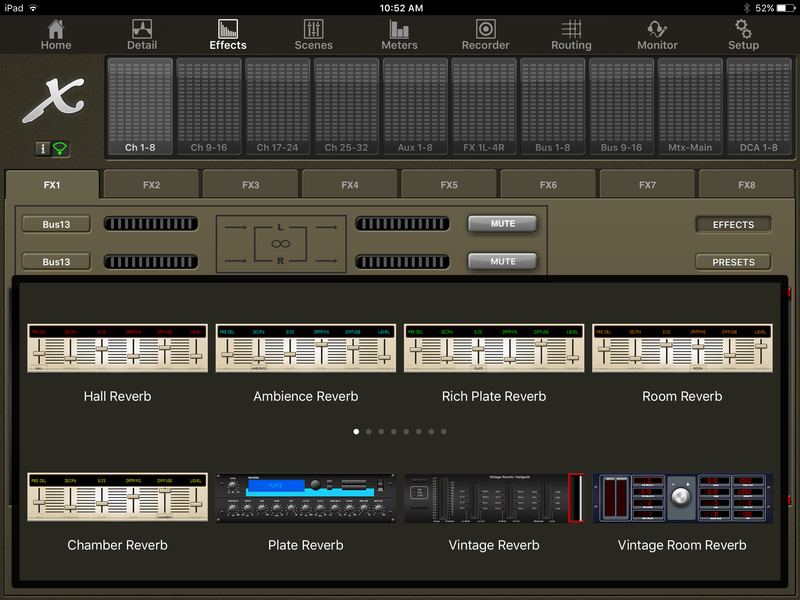 Effects racks 5-8 are the insert effects on the X32 and can be routed to Channel 1-32, Mixbus 1-16, Matrix 1-6, Main LR, and Main M/C. 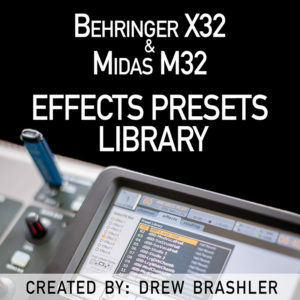 I just released my Behringer X32 Effects Presets Library which has 100 of my favorite settings for my favorite effects on the Behringer X32 and Midas M32 consoles! Make sure to go check it out! X32-Mix Effects TruEQ & GEQ have RTA! 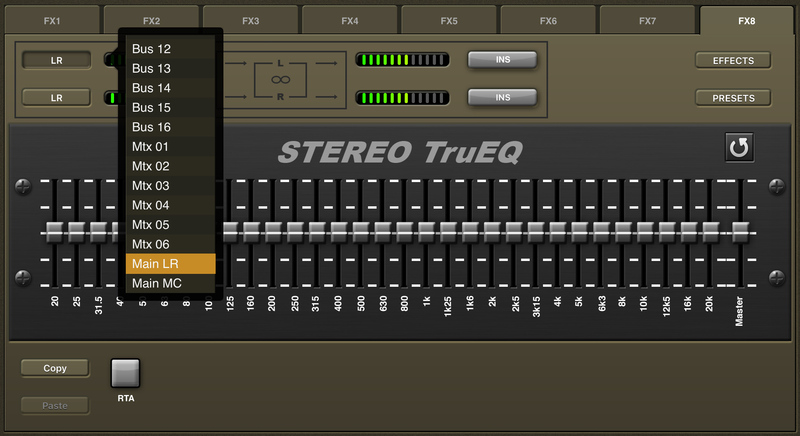 With the graphic equalizers, TruEQ and GEQ, you can overlay the RTA in a bar mode or a spectrograph mode. 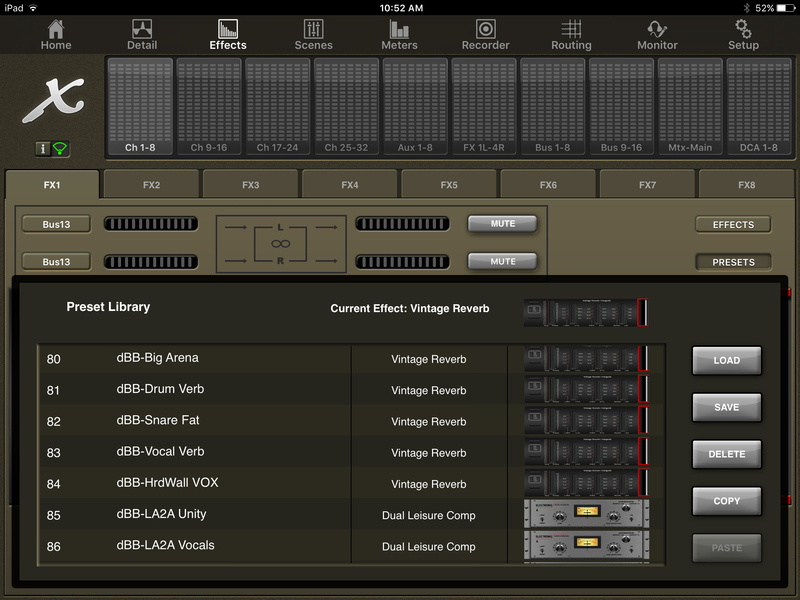 That is all for this week’s X32-Mix App Tutorial Effects Tab! 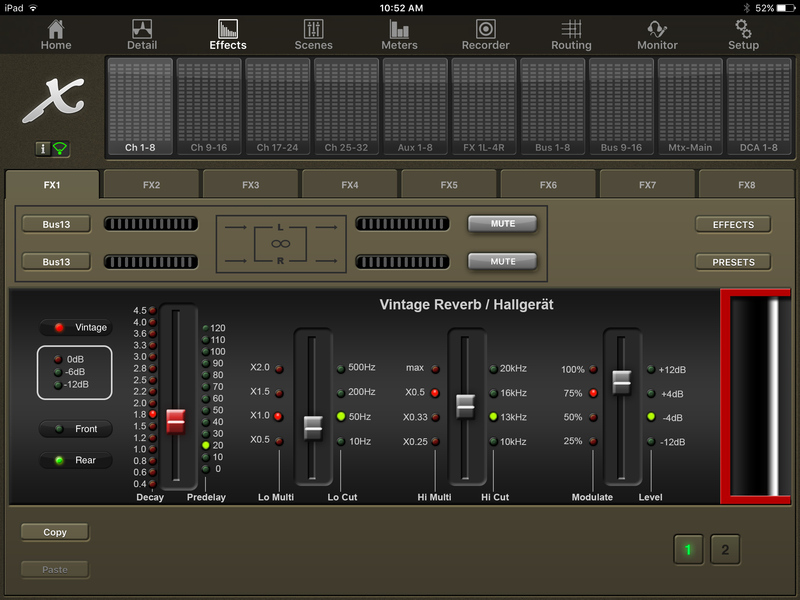 Next time, we will take a look at the Scenes tab of the X32-Mix App! 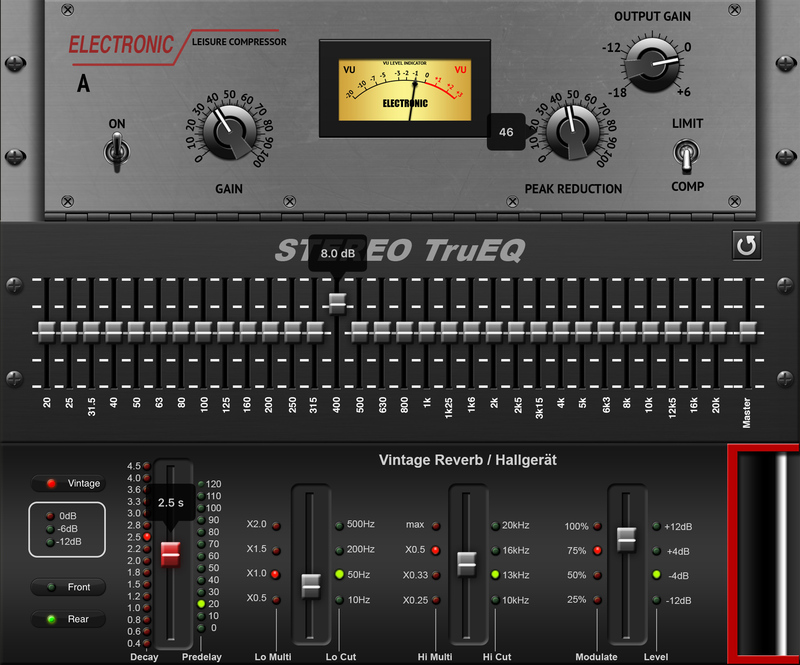 Just wondering if it’s possible to run multiple effects on single channel (like both a graphic EQ and mix bus compression on Main LR)?